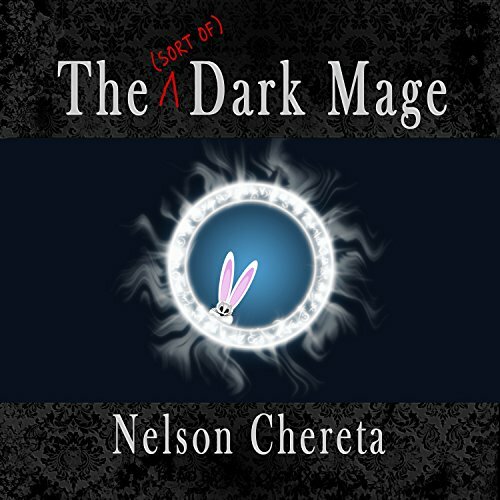 What did you love best about The (Sort of) Dark Mage? I listened to this entire title in one go. I have never felt confident in abridging words to describe a fantastic book. It was a very fun read and more of a comedy than anything else. The world building was good, the comedy fantastic, and the casual graphic violence was very entertaining in its context. 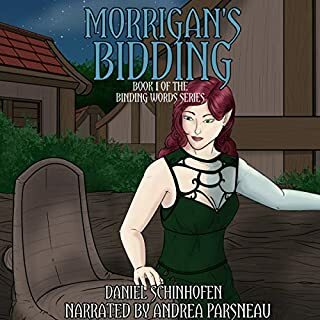 The narrator of this story did a wonderful job and I hope he continues to be a fantastic combination with this author and series. Engaging, but has no ending. It doesn't end, it just stops. It feels like someone tore a book in half, let me read it enough to get hooked, and then yanked the rest of the story away from me. I love long series and story arks. 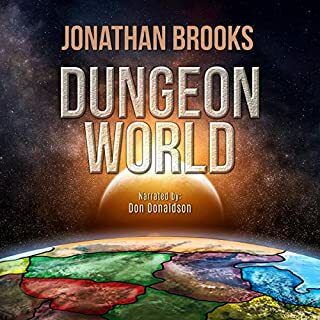 My audible books for the past few months have been the Dragons of Dorcastle series which is a six-book epic sprawl before it feels like the main action has finally resolved, but at the end of each book, the story arc has a resolution. There is an ebb and flow to the narrative that makes it clear, even when the ending is less than satsifying, that our characters have completed a leg of their journey. This book is more cliffhangery than a chapter from Scott Sigler. And less satisfying than a Season of Lost. Wait until you can get the whole story at once. I'm not sure how many pieces it's been chopped into, but if you can't get the whole thing, it's a lose-lose situation. Either you hate it and wasted your time, or you love it and feel cheated. 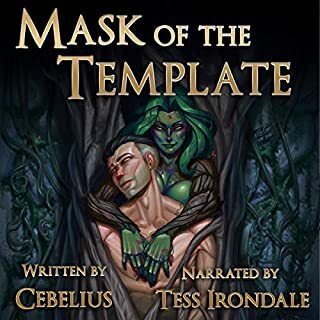 for all of you patiently waiting for your next fix of resken, this book will sate your hunger. fantastic portrayal of the main character, he tries so hard to be bad and evil but some roles are not meant to be. all of the characters are rich and easily likable. This is one of the most hilarious books that I have read thus far in 2017. Waldo is a 16-year-old male who has lived at home, in a castle, his entire life. He is an educated dark wizard without a truly evil bone in his body. It is his totally cluelessness of real life, which makes the story so funny. He refers to the sun as the big red ball in the sky. Waldo was raise in the arts of being a cut throat dark mage, where your family members are your deadliest enemy. Now he is thrust into the world on a dangerous quest without common sense or a desire to take a life. One of the first things that happens is he gets married. While most men think they know how relationships work, Waldo has no clue. In acquiring a familiar he gets a wife. To him a familiar, a monster who is under the control of a wizard, must do what he is told to do by the master. So what could be the difference? In Waldo’s adventure to prove himself, he incenses villagers against the white mage community, he is physically abused by his “wife/familiar” and his grandfather is out to kill him. This book ends in a cliff hanger but book two is available for download. I don't do reviews very often, besides rating then by stars. But this was a great book, great narrative , storyline and characters . Can't wait to read the next one . Modern fantasy is unfortunately filled with bumbling, sad-sack dummies who luck their way into succeeding against all odds. They do idiotic things through naïveté, ignorance, or just because the author is lazy and has decided to have the character do something... because reasons. 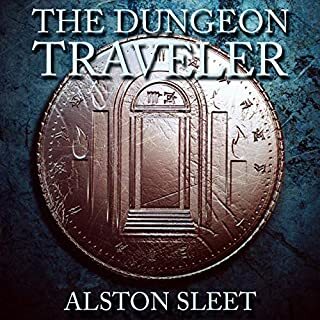 Not only is this book spot-on with a humorous take on the quest fantasy genre, it is also a compelling and engrossing story in and of itself. All the while it manages to have you rooting for the ignorant dummy instead of rolling your eyes and ultimately trying to get your credit back. The narration is seamless to the point where you stop noticing that someone else is reading the book to you and it feels like you are absorbing it directly. I will definitely be looking out for any books read by Gary Furlong going forward. ...I hardly ever give books a whole-heartedly positive review, but this one deserves it. I can’t wait to start the next one in this series. The premise of this story was great. But the actual story did not live up to it. Many parts were really enjoyable, no laugh out loud humor but a few chuckles and number of smiles. Lilith was a great character. Conflicted, tortured of soul. Ruthless and yet loving and in a way tender with regards to her youngest son, Waldo. We're it not for her environment and some tragic flaws, Lilith would have been a powerful force for good. Perhaps a benevolent ruler in a different land, one who would be lauded and remembered with fondness by her faithful subjects rather than the conniving and murderous head of a treacherous family in an equally treacherous land. And that's where the major screw up of the author comes in. Yes, Waldo was raised and protected within the confines of his family castle and really had no idea what the outside world was like. But he would have learned cunning and deception by sheer observance of his family. Instead, Waldo is clueless. He boldly proclaims his eeeveeeellness to all within earshot as well as his intent to rob, deceive, murder, steal, etc. etc. but and has no idea of how to really do any of those things. He is like a teenager who read a bunch of books about how to be eeeveeeell written by an Austin Powers arch villain. And Alice overdoes it with the whole Darling thing a few too many times. Yet the book is nevertheless fairly enjoyable and has its bright moments. Hopefully the 2nd book will be better written. 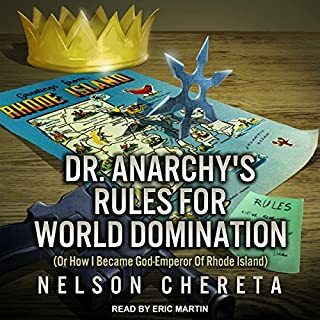 i love this book and this was a good audiobook. 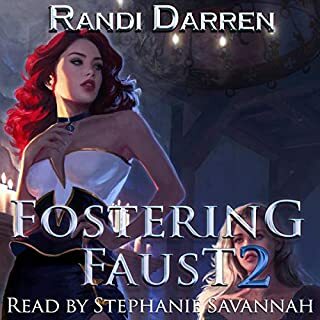 I'm looking forward to the next audiobook and can't wait for the third book to come out. Amusing and pleasant with just a few bumps in awkward romance, but the characters are awkward so it's rather funny. Good narration with distinct voices for every character. I am thinking that this must be a young person's book and I must have bought it in error. The characters and plot are very one dimensional and the whole thing is very simple and predictable. The story unfolds at an unutterably slooooow pace. The end isn't even nearly the end. The book suddenly stops, as though the last half of the book has already been eaten by bookworms. That is irritating. I dutifully listened to the end, expecting some sort of resolution, after all I did pay for a whole book. I was pleased when it was over. I won't be buying any more volumes. Sorry Nelson, this just wasn't right for me. I loved this book! We have monsters and wizards, plots and wheezes, and a good old-fashioned quest. It's fun and lively, and has a really frolicsome air about it. The story is engaging and left me wanting more. The reading is lovely, and adds to the very warm and friendly feel of the book. This is one I'll revisit if I ever find myself needing a cheering story to capture my imagination and lift my spirits. I hugely enjoyed it, and feel like I found a little treasure. Funniest thing since Pratchett as one Amazon reviewer has said? Well I’m not so sure about that but this one did make me chuckle quite a good few times. It did take me a little while to get in tune with the humour as the book almost seemed to be veering off into something serious at times. I think that was possibly more my mood than the book because Waldo’s family the Corpselovers are set up in a very amusing fashion. As it progresses though and Waldo journeys onwards it resolves into real comedic episodes. Waldo declaring his family name in an effort to placate an angry crowd was probably when I realised just how much I was enjoying the ride. The following battle of the sexes that ensues right up to a genuinely laugh out loud ending to this first book of the series is particularly well done. The narration by Gary Furlong is bright and breezy so the book never seems never seemed to drag at any point. In summary this is a light-hearted fantasy road-trip with a slightly different “battle of the sexes” and set of rather fascinating family relationships at its heart. Waldo’s grandfather and his first familiar are the real highlights and his continued utter failure to understand the world around him after his isolated upbringing provides a lot of the laughs.